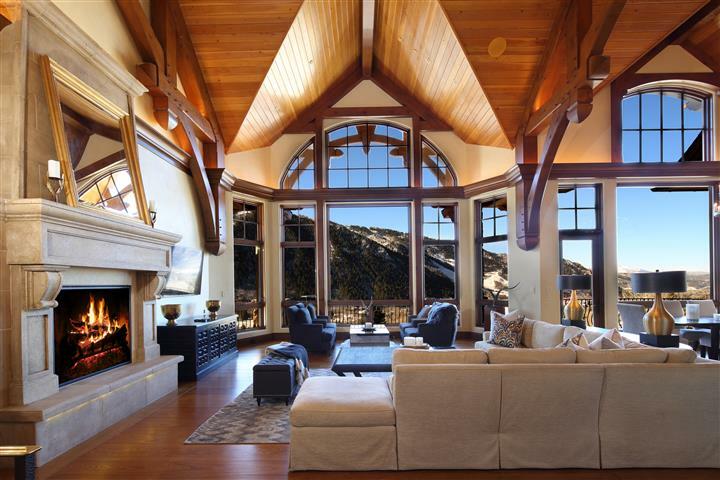 Enjoy captivating views from every turn in this elegant East Aspen custom home with some of the finest details and craftsmanship. 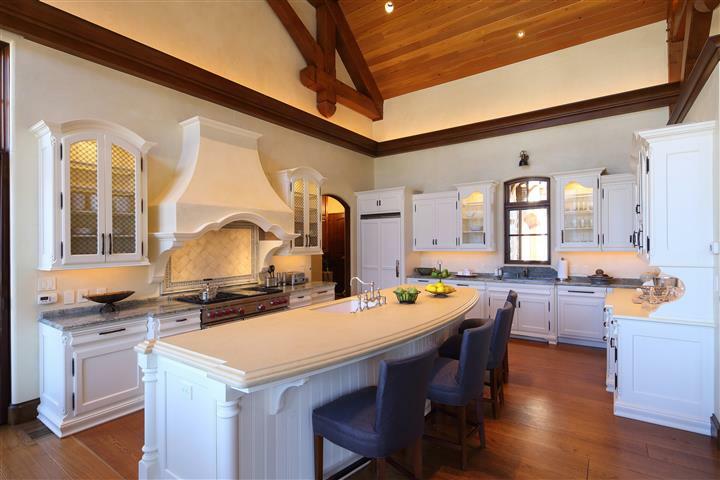 The open floor plan is perfect for entertaining and family gatherings, highlighted by the vaulted ceilings, hand-carved wood beams, white oak floors, tasteful finishes. The backdrop of views from Independence Pass to Mt. Sopris will surely take your breath away. 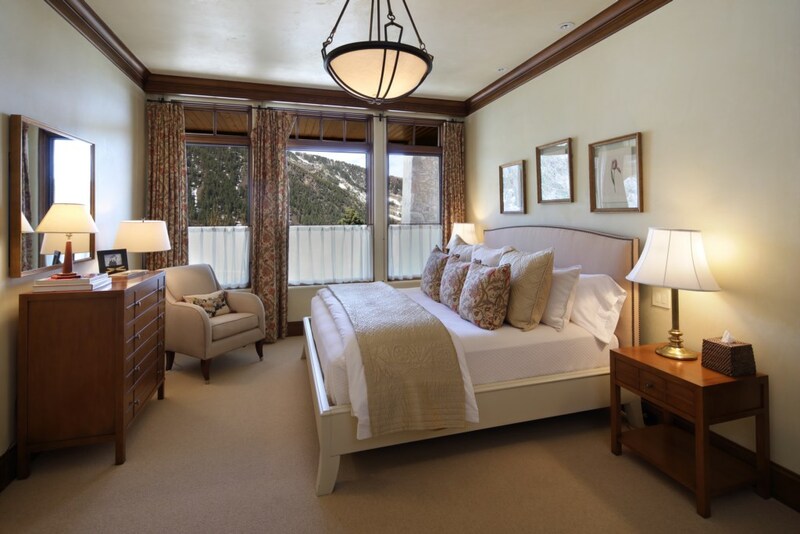 Six en-suite bedrooms, 4 powder rooms and the master suite is located on the living room level. This serene location is just 5 minutes away from the center of town. 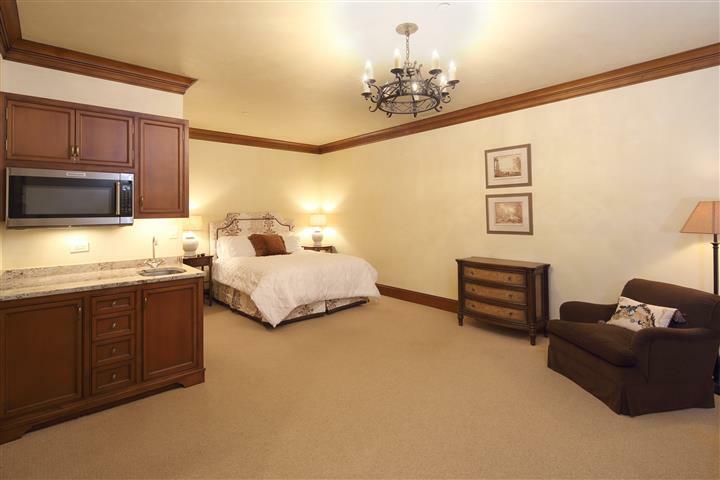 A large walk-in closet and private door to the outdoor hot tub and deck are both found in the master suite. 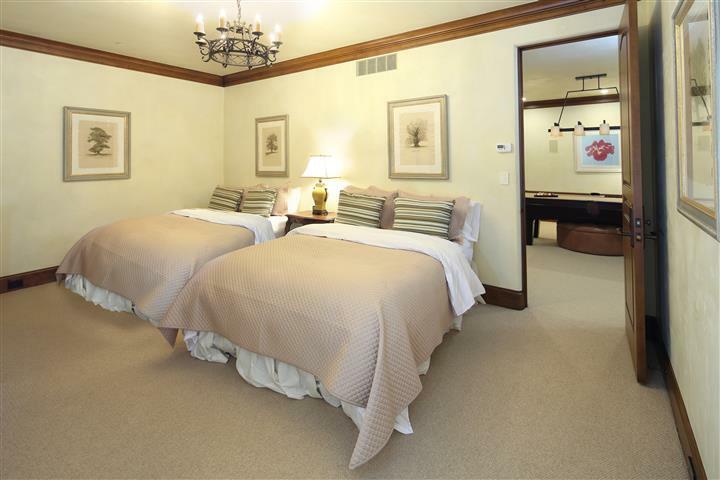 There are three other guest rooms, and the upper loft has a private bath and office area. 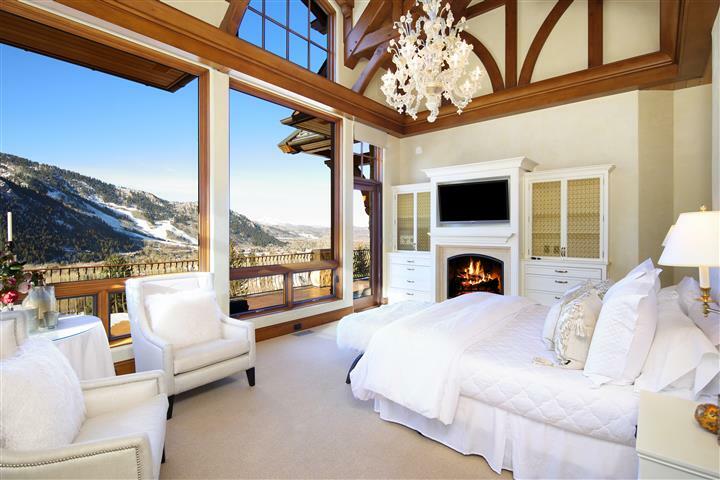 The home has views from Aspen Mountain to Independence Pass, and is located on a quiet cul-de-sac surrounded on two sides by White River National Forest. The private deck with hot tub is surrounded by gardens and has a beautiful stream and waterfall descending into a lower pond. There is outside dining with a gas BBQ grill. The Home Owner’s Association partnered with both the Dial-A-Ride service as well as the Downtowner (App) for free pick-up and drop-off at your doorstep –just add tip! There is a one car garage with two additional outdoor parking spaces. 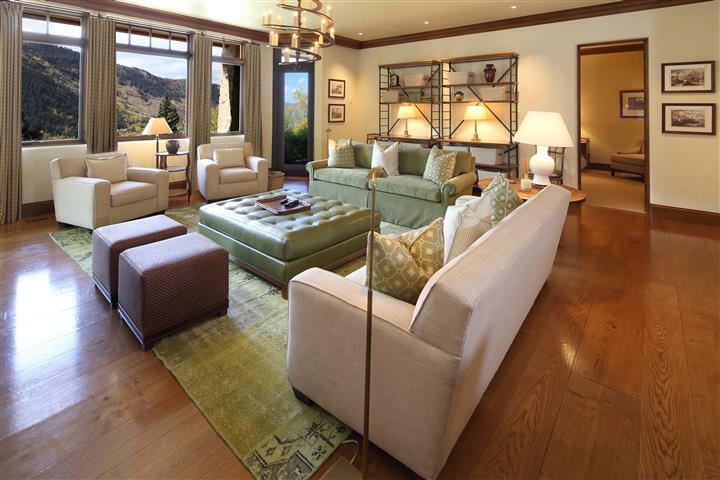 This home is approximately 6,873 square feet. 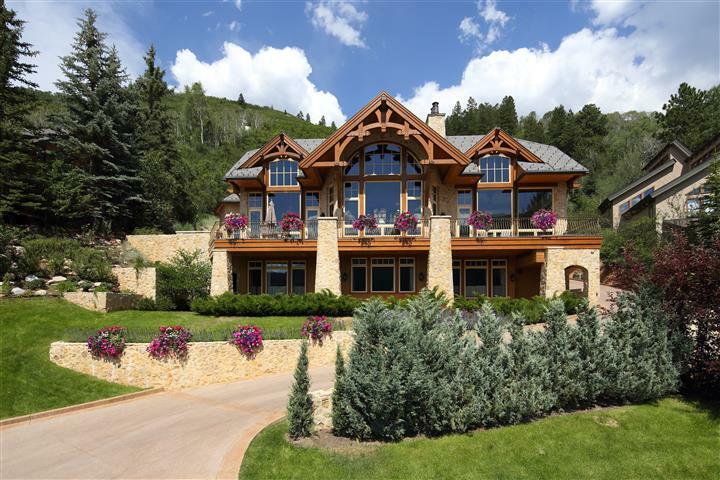 Located in East Aspen, it is on the perimeter of the town's core. Ride your bike into town on a beautiful morning or afternoon, and for dinner in the evening, take advantage of our free Downtowner App to pick you up at your doorstep -just add tip! The Downtowner runs all day every day.